The Golden Elixir is the last thing that can help Grisel. Her sister Argelia will do everything possible to find this potion. Help her during this search and pay attention to the details. 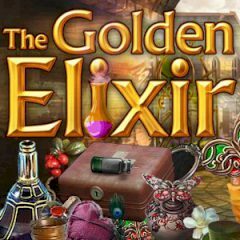 The Golden Elixir is the cure for all diseases and the last hope for Grisel. Nobody knows the reason of her bad condition, but she is getting worse and worse. Help Argelia to find this magic potion and heal her sister. Follow her and make sure you are on the right way!